Heat oil. Cook onions, garlic and meat until brown. Add tomatoes, beer, coffee, tomato paste and beef broth. Add spices Stir in 2 cans of kidney beans and peppers. Reduce heat and simmer for 1 1/2 hours. Add 2 remaining cans of kidney beans and simmer for another 30 minutes. Reconnected with my friend Bill today for a ride among the citrus and avocado groves of Camarillo, Santa Paula and Somis. Great views from the top of Balcom Canyon followed by a speedy and cold descent into the flat lands filled with orchards. The bike lanes were filled with dung-like piles of squashed mud from the farm equipment. Why don’t they clean these roads more frequently? Some sections forced me into the car lane but not before a quick glance behind to ensure I would not be a hood ornament. Overall a good ride as measured by my increased cadence and calming piece of mind. Break into my stack of books I have been wanting to read…… Reading Longitude right now. This is the story of how one man solved the problem of accurately defining how to calculate longitude in the 1700s. Organized my home office and filed my bills…. Lots of paper that defines what was bought and sold. I should just have my investment company send me electronic versions. Update my website and blog…. This was long overdue and I finally converted to WordPress for my gravityh.com. Also restarted my Blog and worked out how to publish directly to my blog from my iPhone. Read Wikileaks….so much to read. Eye opening that our government has such abysmal security controls. Train the dog… This is fun and will benefit Blaze in many ways. Got him to sit and stay but “speak” will require some more work. 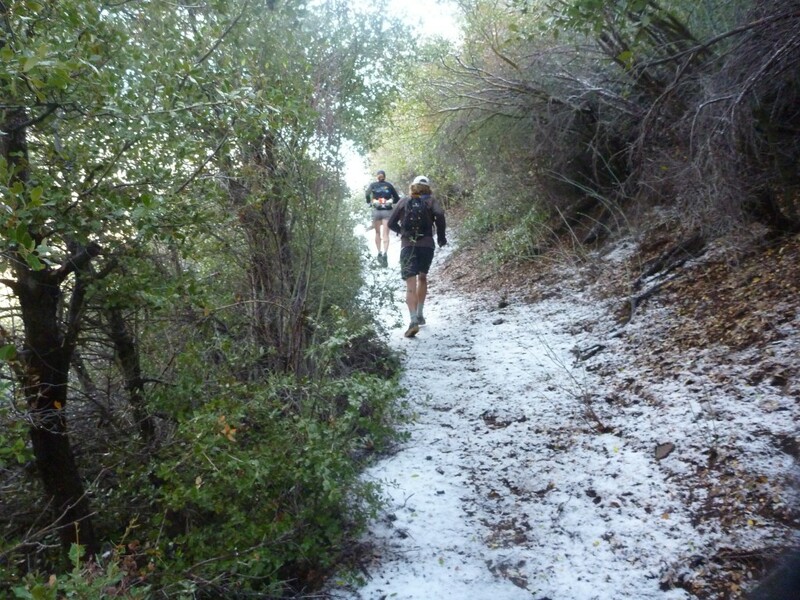 Eat a big breakfast… Love this.. Usually on a Bluebird day like today I would be out on the cold trail trying to warm up. Instead this morning made an omlette and bagel while warming up to a cup of coffee. Focus on my “take for granted” relationships… I should not wait for injuries to focus on this as relationships need constant attention and are the most important. I find these moments a wake up call and I learn more about myself on the important people in my life. Go for a bike ride …if those parts are working ….this is a double edged sword. Yes it helps my cardio but could also delay the healing process if I push too hard or underestimate or miscalculate what is really injured. Getting out doing something physical has mental benefits and allows me to cope with my own issue of feeling left out from running with friends or exploring on my own. 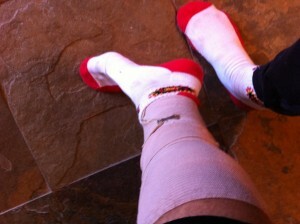 Got a pulled calf muscle and trying to keep my fitness by getting back on the bike. Great riding in the balmy SoCal weather.. This was my second climb up the Rock Store in 2 days. Feeling better about my fitness and motivation but it will be a while before I get back to the shape I was in last year. Curious to see what tomorrow brings. There are two themes to this post: first about a lost runner coming back to civilization and her first day out of the “wildernes”, and second my first day out on the trail trying out my lungs. Two runners got lost in the Cleveland National forest since Late Sunday. Both are said to be experienced ultarunners. The first runner returned to the trailhead on Wednesday morning after being separated from his partner and sister-in-law since early Sunday. The second runner was found by helecopter on Wednesday afternoon. This is the fist day out of the back country they can breathe easy. A team of people from the Ultrarunner community assisted in the search giving of their time to find one of their own. I am glad this came to a safe and positive outcome for the runners. But I question their preparedness in these mountains and their experience. I know what it’s like to do these kinds of runs. You should know the terrain, trails and the physical dangers. When running with friends we keep tabs on one another. We signal each other to let each other know we are OK. We wait for them at critical trailheads. What drove these runners to separate and not keep tabs on each other…were they searching for water as one post intimates? Were they duke-ing it out on the trail to see who could last the longest in the oppresive heat? Don’t know although when the older runner is passed by the younger woman runner as he is throwing up as cited in her interview you wonder why they did not stick together at that point to ensure the safety of both. Experience comes not only from the number of miles you put in and the races you have run but the time on feet in conditions that test your stamina, strength and judgment. Most critical in this circumstance in my opinion is judgment. Judgment to pace yourself, working as a team, knowing the trail and your bearings. 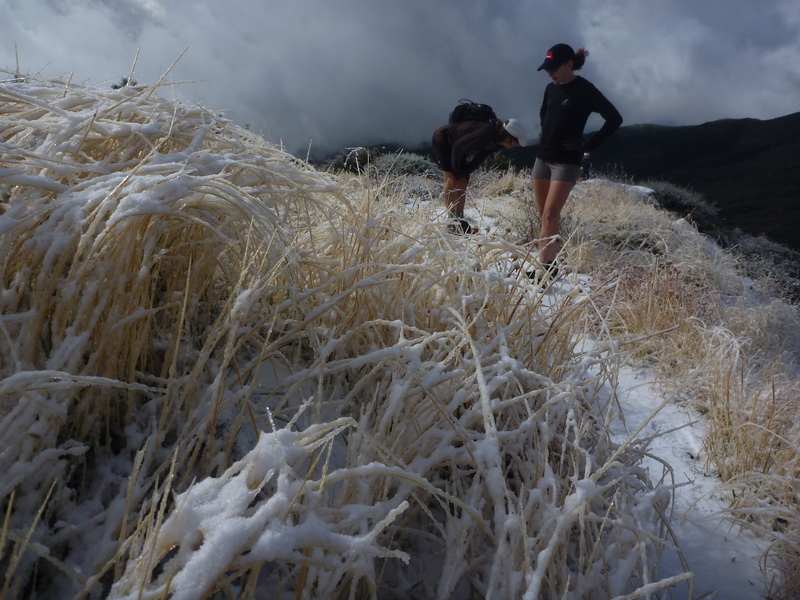 There is much to learn from this this experience for these runners and I hope other runners and outdoor adventurers will take notice on what occurred here and take steps in their own passions to be prepared mentally and physically prepared for what mother nature decides to dish out. On a related note today was the first day in a week I could actually fill my lungs to capacity without stabbing pains in the left side of my chest. Was was up early taking with Jeanne and decided to get out for a short hike and watch the sun rise. It was probably the slowest I have ever covered this section but it was nice to get out. Now I need to strengthen my muscles in my mid section and ensure all the blood pooled between my lungs and plural cavity gets absorbed. On the road to recovery but my adventures scheduled still hang in the balance. Dave was a great guy with tons of energy, always had an interesting perspective on things and was an extremely talented ultrarunner. The times I had hanging out with Dave at C4P and Hardrock are memorable. 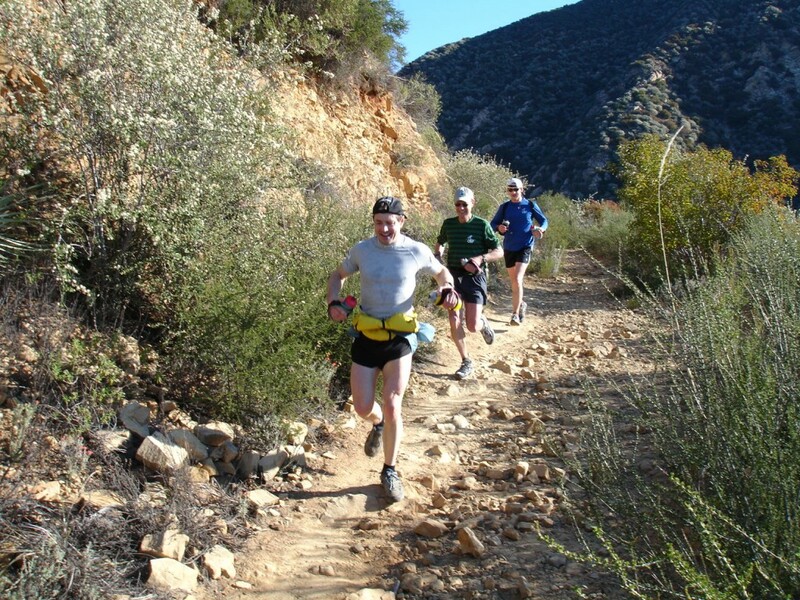 I was awed at his downhill running talent on the most technical of trails in Point Mugu State Park. At Hardrock we shared a cabin with other ultrarunners and had a chance to partake in his humor, acclimatization hikes in the high country and some great food he prepared for us. 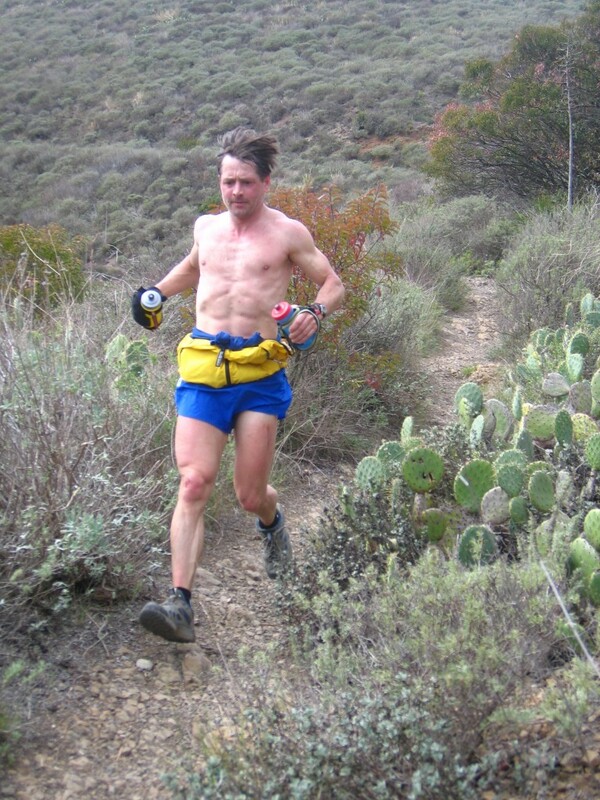 The next day I met up with him at mile 45 on the descent into Grouse Gulch. I was worried I was moving to fast because I never see Dave in races… he is just too fast. He was having a low point but his attitude was still one of positive thoughts. He hung out at the next aid station for a few hours and then started up again… Dave finished the race with some back-of-the-packers and told me about how good of an experience it was to meet some new friends he had never run with before. 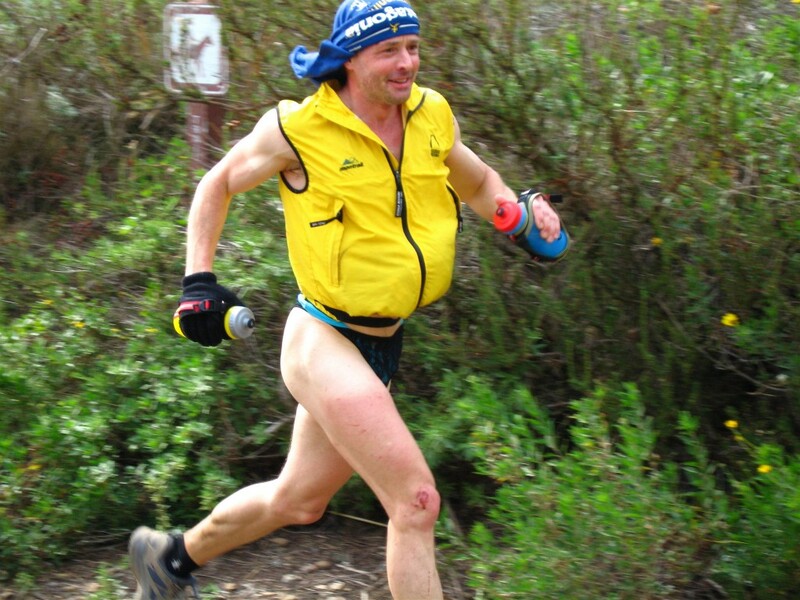 Dave was an icon for me in my early ultrarunning days… he still is. A couple of days later I did an easy trail run, then a rest day and then a 60 and 20 mile road bike ride. Chest pain started during the road biking. Took a two more rest days and then did a little night riding to check equipment and crew for the upcoming Furnace Creek 508 . I completed the ride but was in pain. Went to a pulmonary specialist Friday and found out I have hemothorax. WTF!! That is blood between the lung and wall of the plural cavity… Not enough blood to require draining it through surgery but enough to keep me from taking deep breaths and keeping me up at night. I am thankful I now know what’s wrong but the rehab is slow. I am seriously bummed and will be trying to figure out if I can take on my scheduled adventures in the next month. I negotiated with George today to get another 30 minutes of sleep. We started our ride at 6AM and booked it down to PCH and started climbing Yerba Buena. Riders up ahead so we slowly reeled them in. These 3 riders came up Westlake Blvd, down Mulholland. George rode with the rabbit, I stayed at the back and sucked wind while the other guys chatted and huffed a bit too. Found out one guy did the 508 last year in th 31 hours. Impressive even if he was 30 something. We stayed together through until we hit Potrero where George and I peeled off.. Overall a good training ride where I tagged my Lactate Threshold a number of times on the flats and in the hills. Stats to follow.